The path to the Groovy script file is shown here. Opens a dialog where the Groovy script file path can be edited. This is only possible if the expert options have been activated. Opens the internal Groovy script editor. This link is shown if the path to an external editor has been entered in the editor settings. Click on this link to open that external editor. 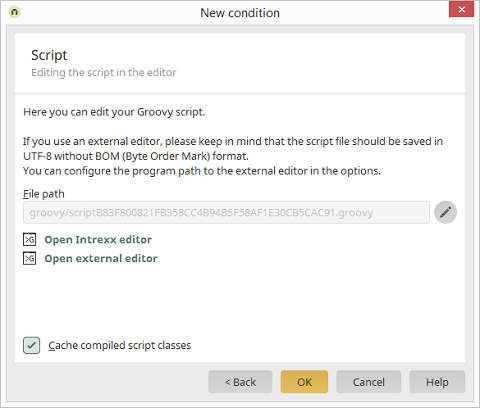 The compile Groovy scripts are stored in the cache with this option.